See exactly what users are looking for and how they use your site. Understand their mindset and increase your conversion rate. 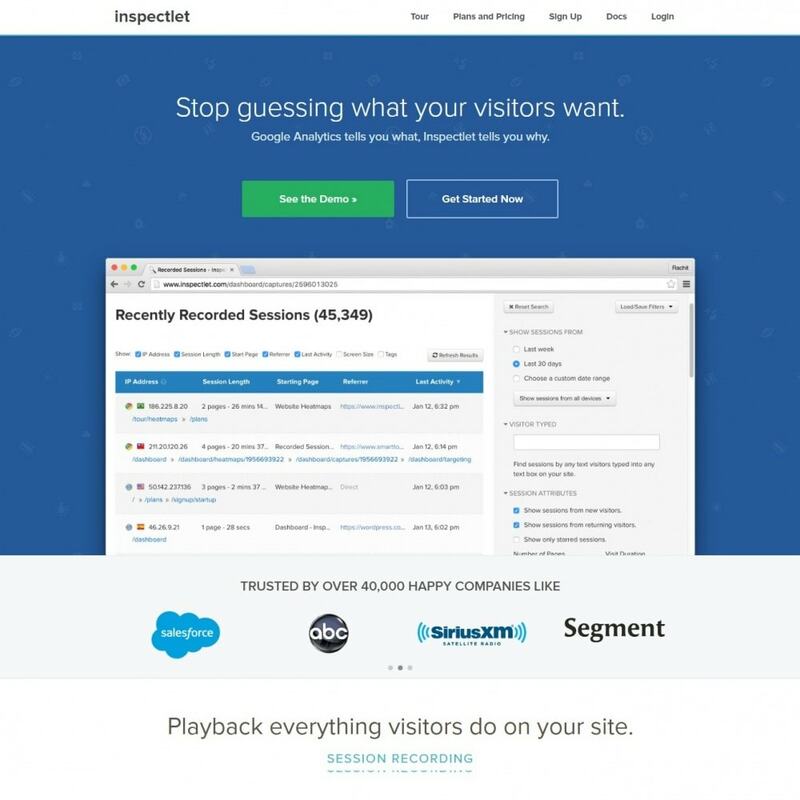 Discover where visitors are getting confused on your site and what's getting their attention. With Inspectlet's mature filtering capabilities, you'll be able to find exactly the visitors you're interested in watching. For example, selecting a few checkboxes will let you find videos of new visitors from AdWords that bought something on your site. 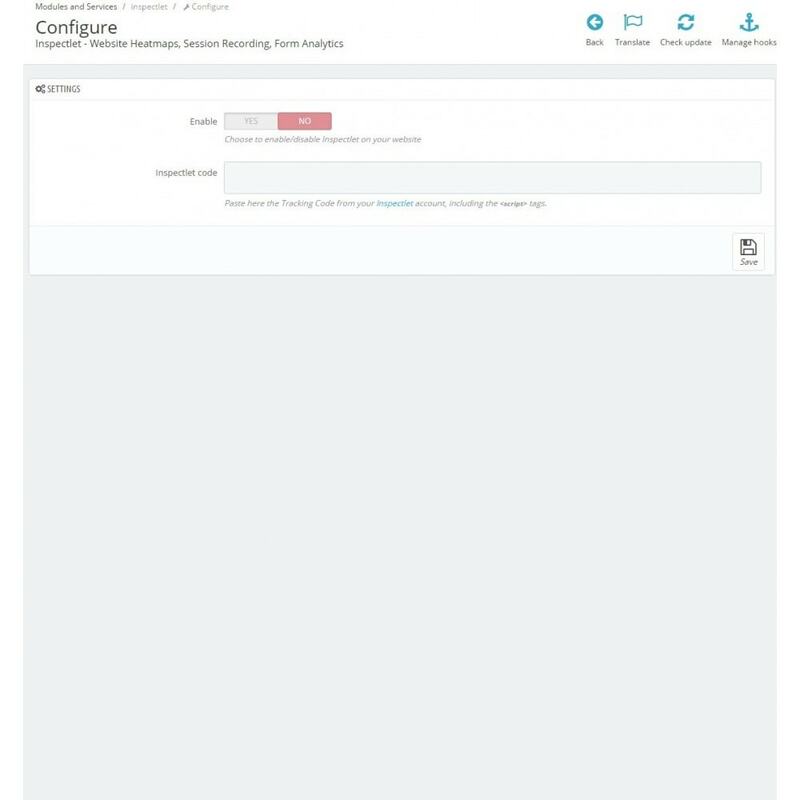 Our funnel analysis tool can show you recordings of people that added something to their cart, but never proceeded to checkout. Slice and dice your data however you want. Conversion Funnels let you define a series of pages that lead towards a goal (like a signup or a purchase) and thenwatch session recordings of visitors that dropped off on a particular step towards the goal. Track down where potential conversions are being lost and drive conversions up. Identify individual users. With one line of code you can tell Inspectlet which user is being recorded so that later you can find users with a specific email address or ID. Mark interesting events. If you're interested in watching all screen captures where a visitor pressed the play button, you can tag those screen captures with a marker like "pressed-play". 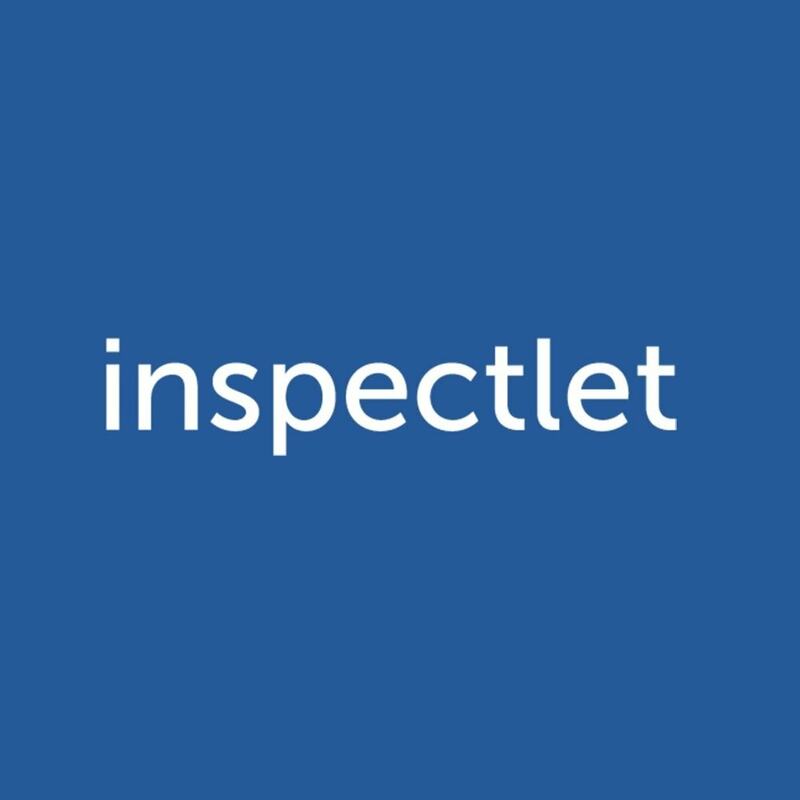 Inspectlet is designed with this century's web apps in mind. Inspectlet plays nice with all the latest technologies straight out of the box with no integration required. See where your visitors are looking and what parts of the site they're reading by visualizing their mouse movements. Research shows that mouse and eye movement are highly correlated. Find out what your visitors are clicking on, whether it's a button, link, an image, or text they expected to be a link. Immediately see what's working and what isn't. Figure out which "buy now" button visitors are clicking more. Scroll heatmaps show you how far visitors are scrolling down on your site's pages. Find out how many people actually make it to the middle or bottom of the page. Learn where on your page to place your most important content, like the purchase button or a special discount banner.